“Heal Your Pain Now” is a new kind of pain resolution book. 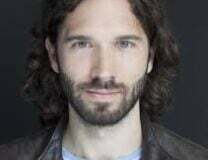 Joe Tatta is a Doctor of Physical Therapy with a foundation in the Paleo Diet. 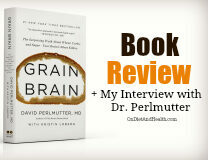 He has several chapters on diet, then on movement, managing your mind and how perception affects healing. 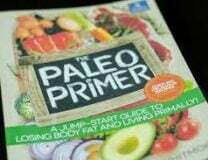 There are easy recipes and multiple supplement suggestions. 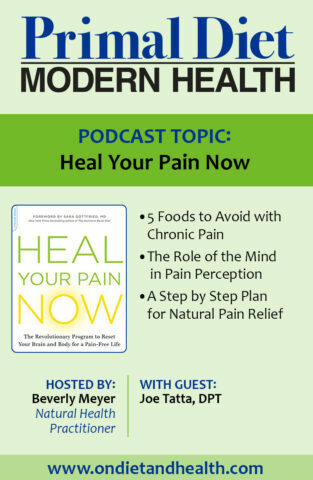 Available here on Amazon in paperback, “Heal Your Pain Now” covers the obesity-pain connection, natural anti-inflammatories, phases of pain resolution and a discussion on the value of current diagnostic techniques. When you buy on Amazon, save your order number and go to Joe’s site here. Enter your number for a $20 Store Coupon, an anti-inflammatory recipe book and a Pain ‘Quick Start’ Guide. 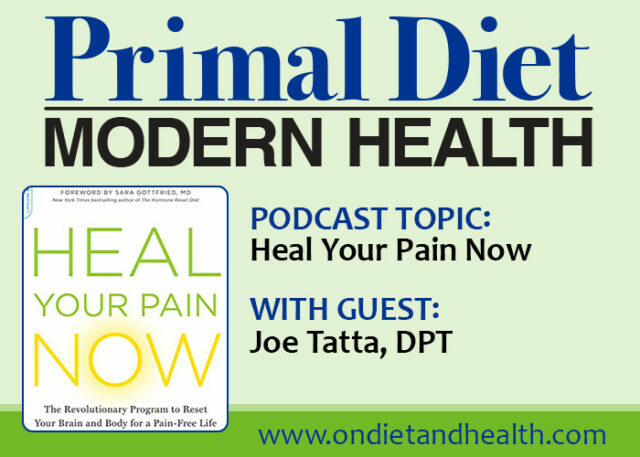 Listen to my talk with Joe Tatta on my Primal Diet – Modern Health Podcast and get inspired to change your pain. (PS…. Here’s Joe interviewing me on his Podcast. My topic is “The Role of Neurotransmitters in Pain Perception”). You can also listen from my website here.